10 Questions to ask when interviewing a buyer’s agent. 10 Questions we recommend asking when interviewing buyer’s agents. Ask the agent a lot of questions. 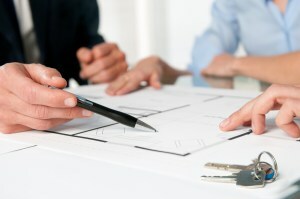 Who you choose to represent you in the home-buying or selling process is a big deal. Your real estate transaction involves hundreds of thousands of dollars, so you need to make sure you’re partnering with someone you trust. You’re talking to your potential real estate agent, so consider this a real interview! 1) How long have you been a full-time real estate agent? 2) How many homes do you close each year? 3) Will you or someone else on your team be handling my transaction? 4) What sets you apart from other agents? 5) How will you help me buy or sell a home in a competitive market? 6) What’s your commission fee? 7) Do I have to sign a commitment with you, and what happens if I’m not happy with the job you’re doing? 8) When will you communicate with me—and how often? 9) Will you be honest, tell me what I need to hear, and give me realistic expectations? 10) Who can I contact for a reference? If there are other things you want to know, now is the time to ask. Don’t be afraid to speak up! Be sure to notice what certifications they have and how much they seem to know about your community. This is also a great time to ask about their average closing time and their sale-to-list ratio. A great agent will patiently and thoroughly answer all of your questions because they want you to have all the information you need to make a confident decision.